Our homes and commercial spaces need the right cleaning and maintenance service to give us the continued comfort and security we desire. From time to time, it is important to take note of the specific cleaning and treatment needs, of different areas, within or outside the home to maintain a clean and healthy environment around you. 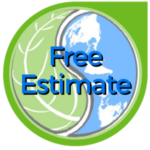 Hydro Eco Clean LLC, is one of the most reliable professional roof cleaning and pressure washing services in Wayne, New Jersey. With experience and expertise, we also offer economical and environmental friendly roof cleaning services, that add to the living environment of your home and the functionality of your commercial spaces. How is Hydro Eco Clean, Wayne, NJ different? When we think of roof cleaning we automatically imagine large machines pressure washing the length and breadth of the roof. We think of steam machines and hot water and the works! What if we tell you that is the absolutely worst way to clean a roof! Hydro Eco Clean, Wayne, New Jersey uses roof treatment methods that are ARMA (Asphalt Roofing Manufacturers Association) approved. We don’t just want to give you a sparkling roof, but complete roof treatment that ensures it continues to be like that for a long time to come. Over time, moss, algae and bacteria is formed on the roof. A simple hot water clean or even pressure washing may clean the surface but is not able to go deep within and truly get rid of all these. So these methods are temporary solutions. On the other hand, our effective roof treatment services are more long lasting, as the focus is on complete roof treatment and not just a cleaning. So, there is no brushing, rinsing, scraping involved; there is no pressure either. We use an eco friendly formulated solution, that is made in-house, to kill the moss, algae and bacteria development on the roof. The solution is applied using a non-pressure method on the entire roof. And that is all it takes to completely clean and treat the roof! The solution is a ‘one-man army’ that requires no extra manual efforts. During the rains, the water wash away any extra moss or algae that may have been left behind. Our roof treatment method is not just faster but also more effective and efficient. 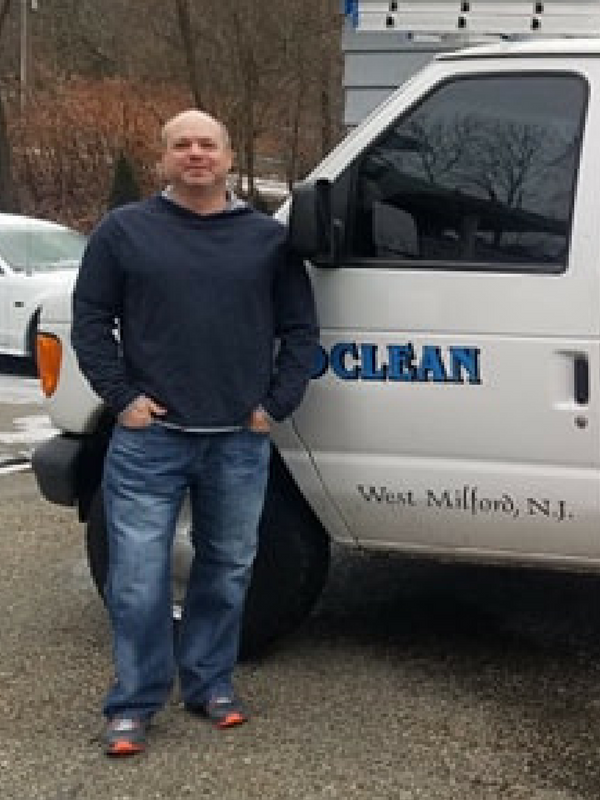 We have served many customers and clients across Wayne, New Jersey and happy to have built a satisfied pool of customers over the years. Our roof cleaning services have helped people further enhance their house washing efforts without the hassle of pressure washing. Our services are built upon a strong foundation of quality and professionalism and we believe in giving long lasting satisfaction. Gutter Cleaning: Don’t let those gutters get excessively full and become a problematic issue for your household. Invest in some preventative care with our gutter cleaning service! Deck Cleaning: Never put your health at risk by using a deck that isn’t totally clean. A dirty or sliding deck can be quite a dangerous problem, and we recommend that you look to avoid this issue by using our deck cleaning expertise. Wood Restoration: Rotten wood isn’t just aesthetically horrifying, it’s asking for problems with mold, mildew, insect infestations and loss of efficiency. We can help you out with a professional wood restoration service, bringing the exterior back to life. Paver Cleaning: Get your pavements nice and clean and make sure the entire exterior of your house looks as good as new. A must-use service for anyone looking to help add some extra energy to the overall presentation of their property which paving can do. Roof Cleaning: A roof that isn’t cleaned will soon build-up its fair amount of moss, algae and airborne stains. Let us step in and clean the roof up for you, making sure it’s safe, in good condition and isn’t allowing for breeding ground for the case of the ‘uglies’. Concrete Cleaning: Dirty concrete is a real eyesore and potential dangerous we can use our pressure washing and exterior restoration skills to help get your concrete looking like new once again. Graffiti Removal: If you are dealing with a mess left by some troublesome teens, then we can help to clean up that ‘street art’ in a matter of minutes with our detergents and hot water pressure watching in Wayne, New Jersey. I have to say I was a bit skeptical on how my house was going to look considering the condition it was in. After having Sal do his thing on it it was absolutely amazing how it turned out. You’d be crazy not to have him come out and take care of anything that needs his attention. Have you been looking for roof cleaning services in Wayne, New Jersey? Does your commercial space in Wayne, New Jersey, require professional roof cleaning? Get in touch with us for quick, affordable and extremely effective roof cleaning services. We are a team of experts in Wayne, New Jersey, who understand the need to give your home or commercial space the attention it deserves!